Roof truss systems for residential, agricultural and commercial projects. Floor truss systems designed to fit your needs. We use cutting edge design software. Welcome to the Hills Creek Truss Co website. This site has been created to aid existing customers and those looking to find out more about our company, our products and services as well as engineered products in general. From the design phase through quotation and construction, we are ready and willing to help. 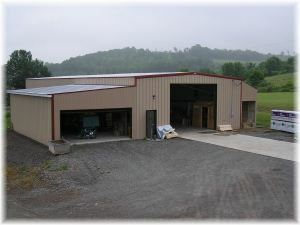 Hills Creek Truss has been manufacturing top quality roof and floor trusses since 1988. Locally owned and operated our goal is to provide top quality trusses at a reasonable price. We remain on the cutting edge of the truss design industry using cutting edge software to create the most efficient designs possible. Even though the lumber market is continually changing we strive to use the highest quality MSR (machine stress rated) lumber to produce our trusses. Spruce/Pine/Fir and Yellow Pine are the most common types used. Our trusses are designed to meet or exceed local building codes and sealed engineering drawings are provided with each job. Our knowledgeable staff is here to answer any questions you may have about our services. For all your custom roof and floor truss needs, we will provide you with service you can trust at a price you can afford.